The prime minister will soon blow the whistle heralding the start of the general election race _ and competition in four constituencies in northern Bangkok promises to be nothing less than intense. Political parties have begun in earnest to gear up for the poll as indications point to the big day being held in June. The ruling Democrat Party raised more than 700 million baht in election funds at its recent banquet. The dinner came hot on the heels of its rival Puea Thai Party's unveiling of poll candidates in the constituency and list systems. The most credible sign of an election came when Prime Minister Abhisit Vejjajiva declared himself ready to lead the Democrat Party in the election battle no later than the middle of the year. The premier repeated what had been taken by many as his tacit commitment to a snap election. However, obstacles lie in the way of dissolving the House, a mandatory step preceding a general election. The Election Commission has strongly urged the government to do its utmost to complete the passage of organic laws on revised election methods. The commission has suggested the bills to amend election laws be scrutinised through three straight readings in parliament to expedite the process. The amendments, once put into effect, will see the number of national constituencies reduced from 400 to 375. In Bangkok, where there are currently 36 MP seats on offer, there will be three fewer seats when the new election rules kick in. The Democrats have dominated most constituencies in the capital except the ''red zones'' in the north. The four districts of Lak Si, Bang Khen, Don Muang and Sai Mai have been tough nuts to crack for the Democrats in past polls. Democrat MP Boonyod Sukthinthai, now representing Lak Si and Bang Khen, will likely be up against Puea Thai and the major coalition partner, Bhumjaithai. The two districts have been a stronghold of Supamart Issarapakdi, the former Puea Thai MP who has defected to Bhumjaithai. Mr Boonyod and Ms Supamart will be battling for votes against Puea Thai's Surachart Thienthong, the son of Pracharaj Party leader Sanoh Thienthong. Back in the 2007 general election, Mr Surachart applied to be a candidate for the Democrats. However, the candidacy slot for Lak Si and Bang Khen had already been filled by Mr Boonyod and his team. This time round, Mr Surachart has secured his place in the Puea Thai Party's colours. It looks certain Mr Boonyod won't breathe easy defending his constituency. 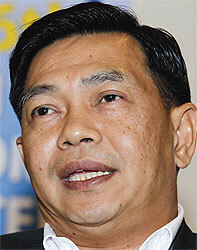 The heat will also be on in Don Muang and Sai Mai districts, where Puea Thai has long retained a strong electoral grip. 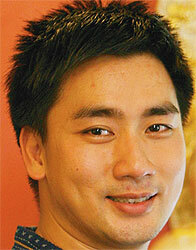 The districts represented by Karun Hosakul are expected to be a two-horse race between Puea Thai and the Democrats. Originally, the Democrats were planning to field Himalai Piewphan, a former army lieutenant colonel and an influential figure in the districts. The party was devising a strategy to ''match heavy-handedness with heavy-handedness''. However, the party rescinded its plan out of concern for its reputation. It decided to send Thankhun Jitissara, the former actor and anchorman, to stand in the constituency and give Mr Karun a run for his money. As Thailand and Cambodia drift apart following border clashes, journalists from both countries are trying to find common ground to connect with each other. Media representatives from the squabbling nations met recently in Sa Kaeo, where they agreed their roles were more important than ever in efforts to soothe tensions. The three-day meeting, which wrapped up on Tuesday, was made possible by collaboration between Burapha University, the Burapha Task Force and Deputy Commerce Minister Alongkorn Ponlaboot. Mr Alongkorn helped put the meeting together through his connections with local businesses as Sa Kaeo is one of the prime commercial centres of Thai-Cambodian border trade. The session was organised with private sponsorship from local businesses, who provided lodging and food to participants. The meeting was held in a convention hall inside the Burapha Task Force's headquarters. The Thai-Cambodian military conflict was not on the agenda, as that would have been irrelevant to other participants, who included journalists from Burma and Laos. The meeting, held following Thai-Cambodian border skirmishes that flared up last month, provided for healthy exchanges of views from journalists as well as academics and administrative officials. The Cambodian delegation comprised 200 journalists, cabinet members and high-ranking officials. The Thai side was headed by Sa Kaeo governor Sanit Naksuksri. While the Thai-Cambodian dispute might not have been on the agenda, the subject was brought up at a question-and-answer session. Participants examined how they should conduct themselves and how they should balance their journalistic roles given the sensitive nature of a conflict involving a high degree of nationalist feeling on both sides. The discussions were amicable and a consensus was reached by both countries that the border row over territorial demarcation had been politicised. The journalists believed the two governments were quite clearly intent on outmanoeuvring each other in a political game where the pawns _ the people on the ground _ stand to lose the most. As far as people-to-people relations and cross-border trade is concerned, everything is proceeding as normal. However, journalists were worried that if the conflict persisted much longer, ties between the countries could sour, and that is when the problem could spin out of control. ''We are neighbours. We just can't just physically break our countries off from each other. We should mend fences and achieve prosperity together,'' one participant said. Then the journalists took turns firing questions. The Cambodian reporters first asked their Thai counterparts what impression they had of Cambodian premier Hun Sen.
For a small group of Thai reporters, the answer was unanimous. ''Aggressive'' was their reply. The question back from the Cambodian journalists dealt with the issue of nationalistic sentiment being whipped up by a protest group _ a reference to the People's Alliance for Democracy _ and the group's continued verbal attacks on Phnom Penh. A Cambodian journalist said the PAD's unrelenting attacks were not helpful as they had ignited ill feeling between the two countries, but he believed the PAD did not speak for the whole Thai population. One suggestion was put forth: there ought to be a coordination committee tasked with arranging to have reporters cover news in each other's countries. Participants voiced confidence the swap would help reduce misinformation from the news being editorialised. The journalists have pledged closer ties by meeting more often.